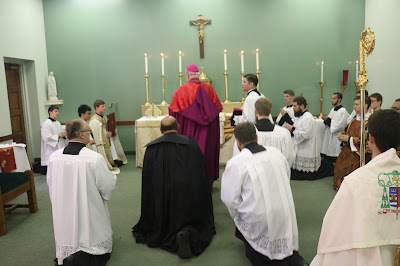 Thy sons round about thy table. 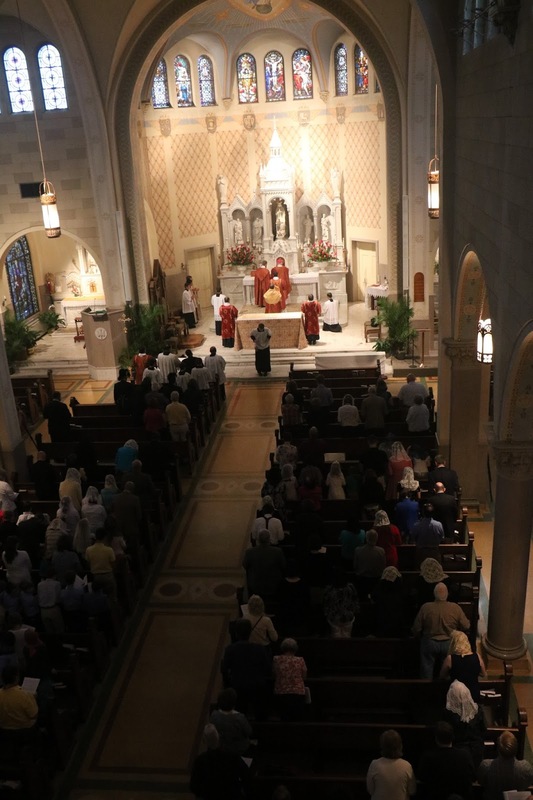 Dr Barbara Wyman, who sent in the photos, writes “If a passerby, anxious to escape the Louisiana heat for a moment, had slipped into the Cathedral of the Immaculate Conception, he would have immediately known that something extraordinary was occurring. 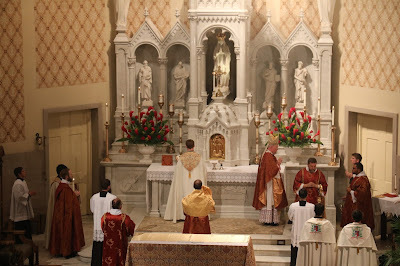 What he would have seen is truly the most beautiful thing this side of Heaven. 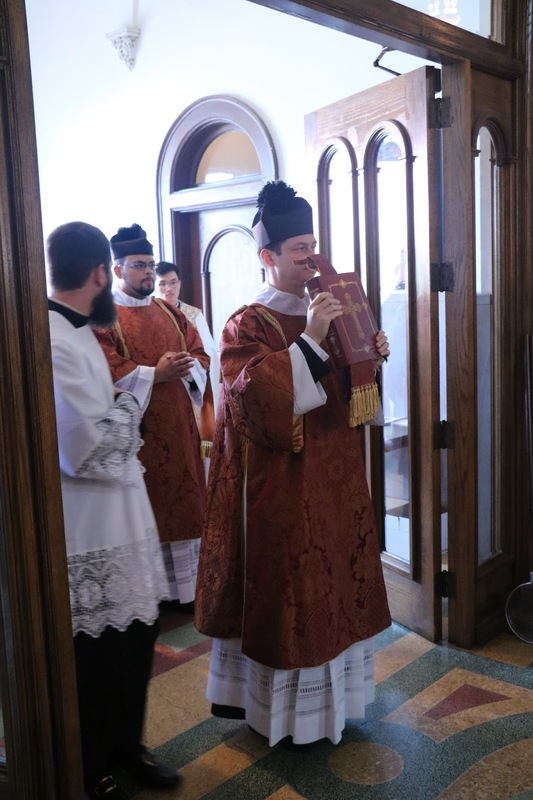 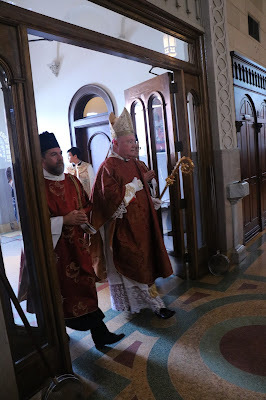 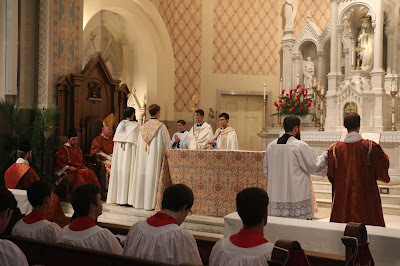 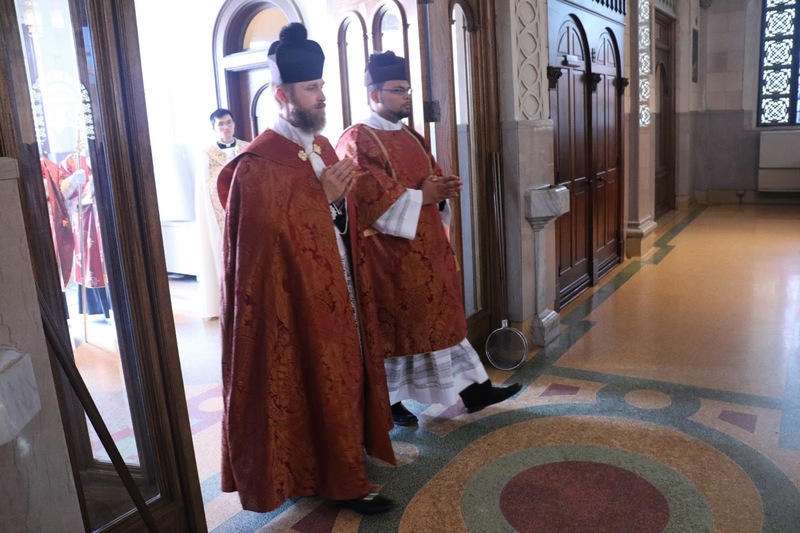 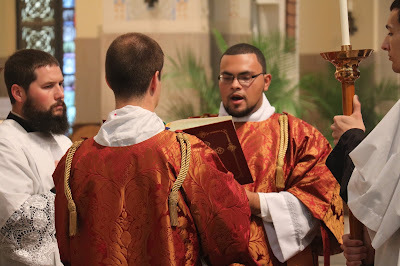 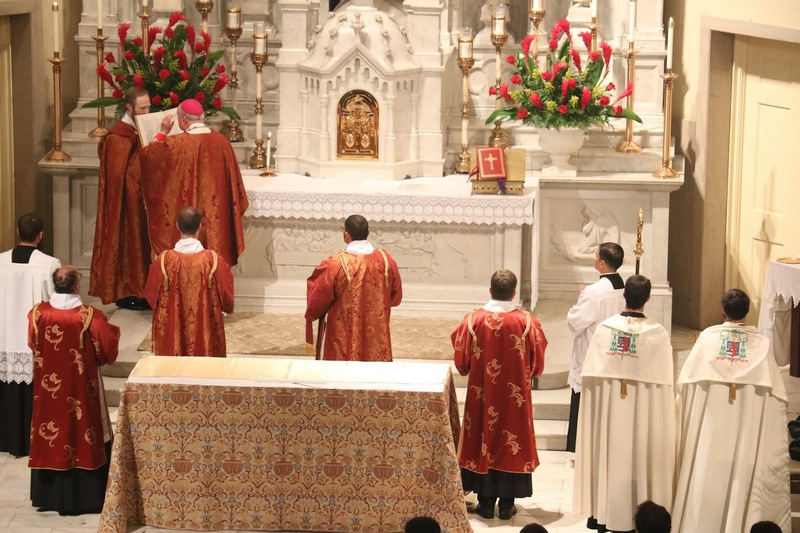 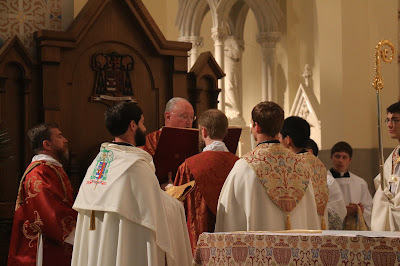 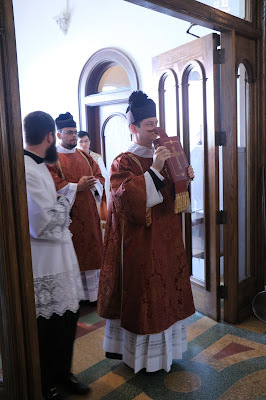 On this particular day, the occasion was the Solemn Pontifical Mass for the feast of Saints Peter and Paul, celebrated by His Excellency, The Most Reverend Glen John Provost, (the 13th since his consecration as Bishop, and the 6th at his own cathedra). 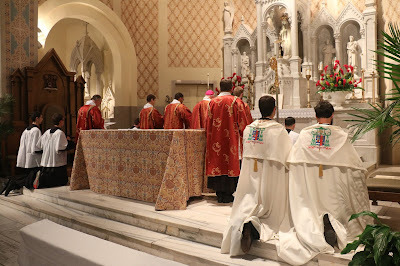 One of the hallmarks of the usus antiquior, or Extraordinary Form of the Roman Rite is the continuity it gives us to the Saints who have gone before. 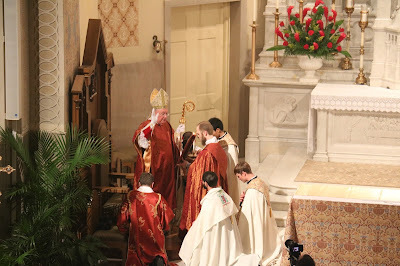 It is quite moving to think of St Thomas Aquinas, St Francis De Sales, Blessed John Henry Newman, St Josemaria Escrivá, St Catherine of Siena, St Padre Pio, alongside St Therese of Liseux … all these Saints, from throughout time, if they were to suddenly slip in the side door, they would feel right at home, and their voices would blend with the schola, chanting the Mass, for these Saints would know the Latin words. 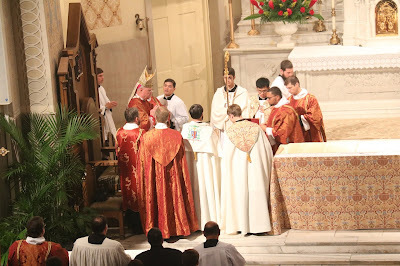 And there was much cause for rejoicing this particular night! 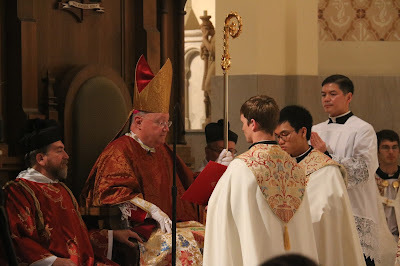 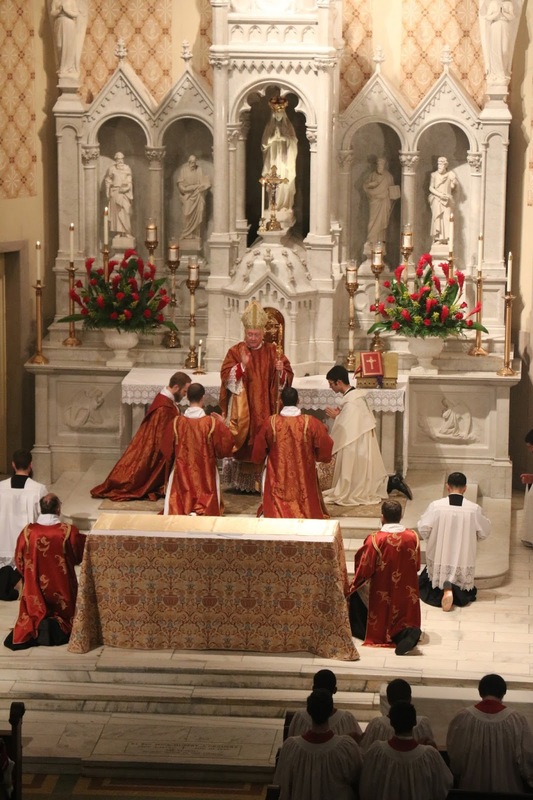 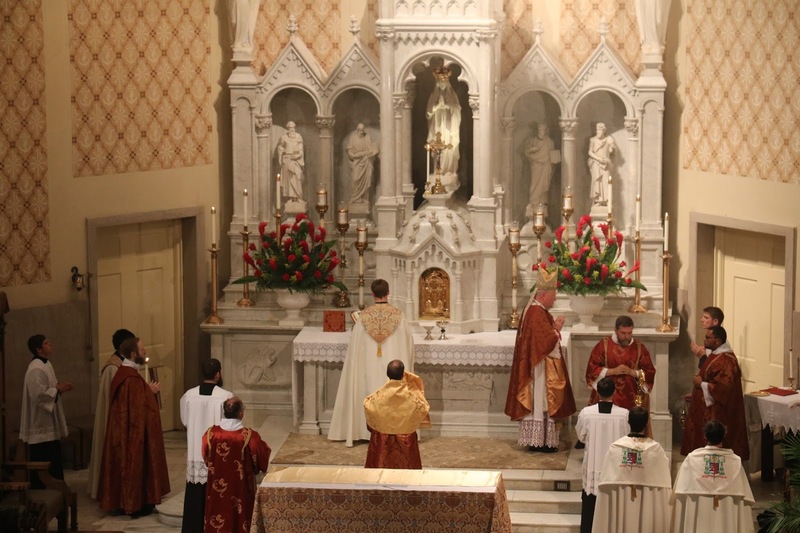 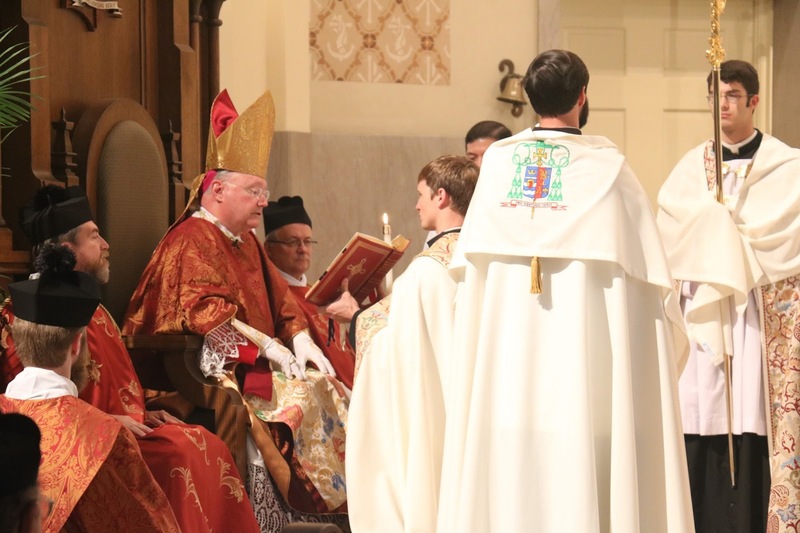 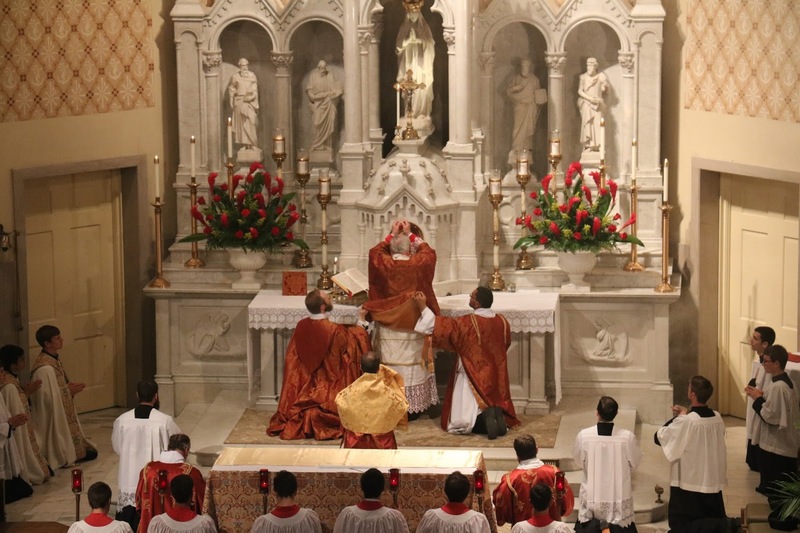 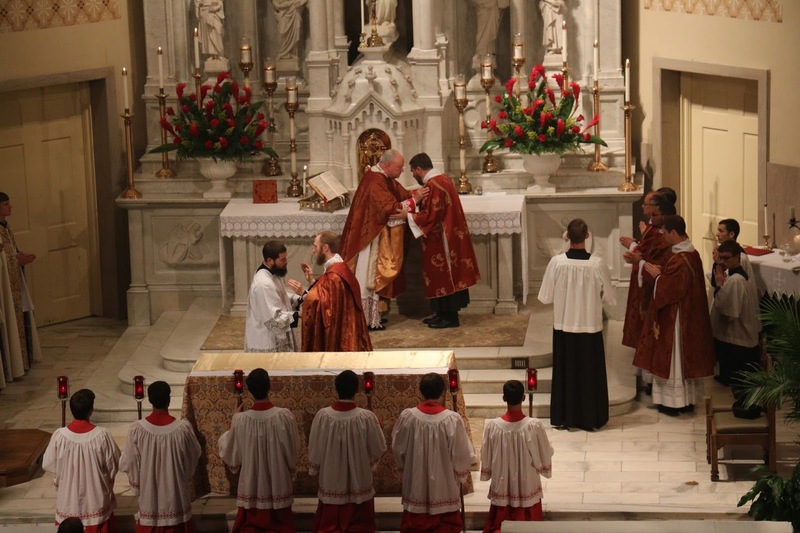 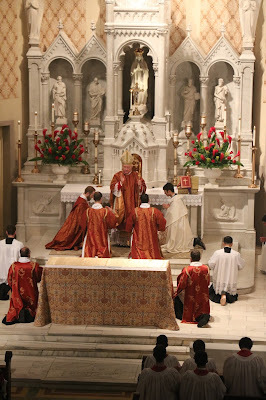 Not only is this the 10th anniversary of Summorum Pontificum, but also the 10th anniversary of His Excellency’s consecration and installation as third Bishop of Lake Charles, and the 42nd anniversary of his ordination to the sacred priesthood.